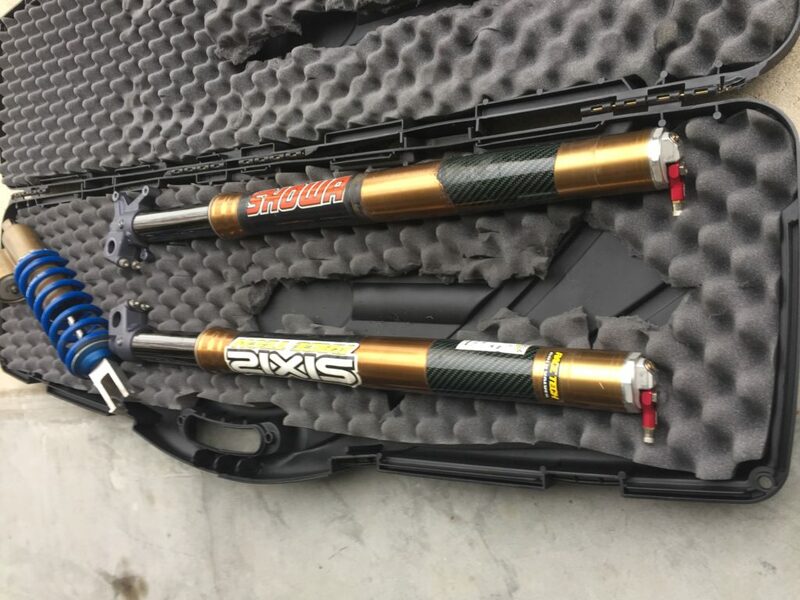 2013-2016 Honda Kayaba Racetech Works Suspension Fork,shock And Triple Clamps. 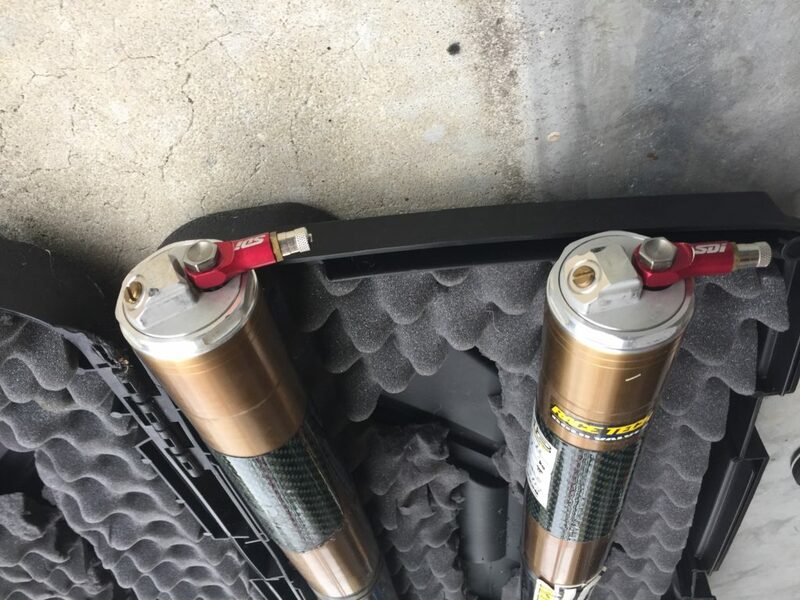 Condition is Used. 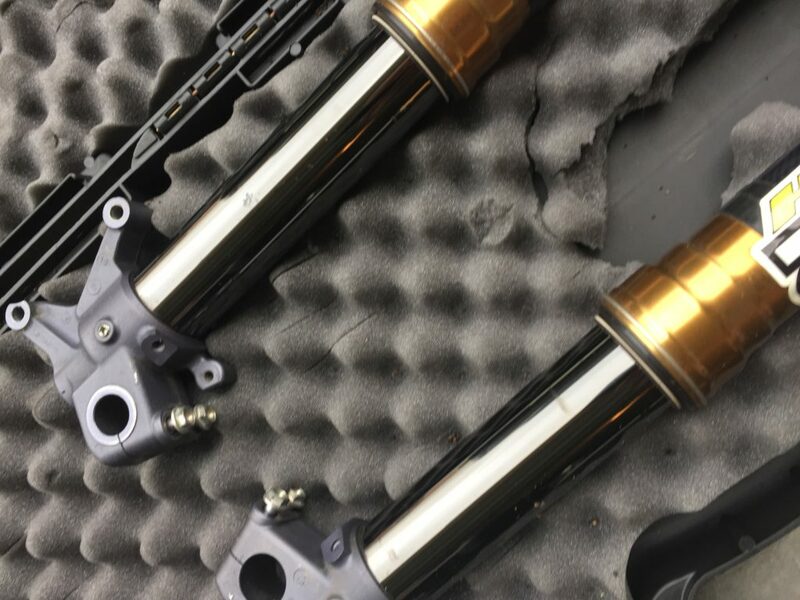 This is a set of used works Kayaba 48 mm racetech kit suspension forms and shock with full Kashima coating as well as coated outer fork tubes and coated fork lugs with full race tech internals , this suspension was used for a total of 17 hours. 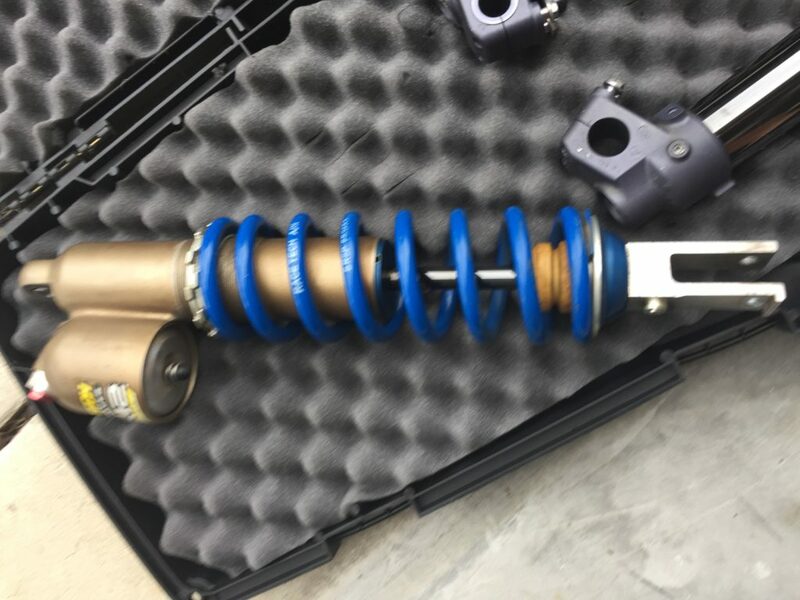 No major damage or Dings, this was set up for a 150-160 pound pro rider. 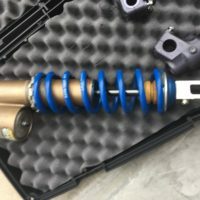 But the springs and internals can be adjusted it will fit a 2013, 2014,2015, 2016 Honda Crf450r comes with ride engineering black upper and Lower triple clamps and bar mounts !